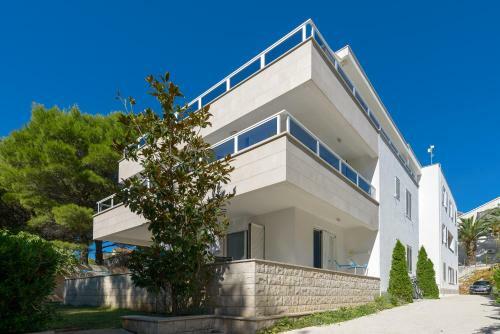 Providing a back yard, Apartment Promenade Zlatni Rat presents pet-friendly accommodation in Bol. Kitesurfing School Bol is 200 metres from the property. 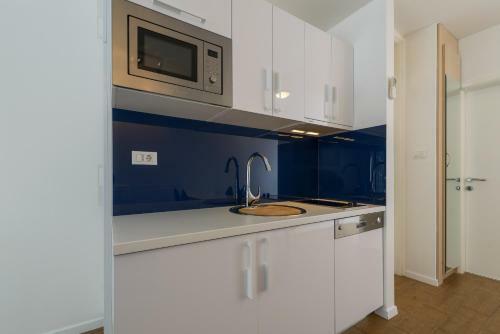 There is also a dining area and a kitchen fitted with a dishwashing machine. A microwave and fridge are also provided, as well as a kettle. You can play tennis at the property, and the area is famous for parasailing. The closest flight terminal is Brac Airport, 4 km from the property. 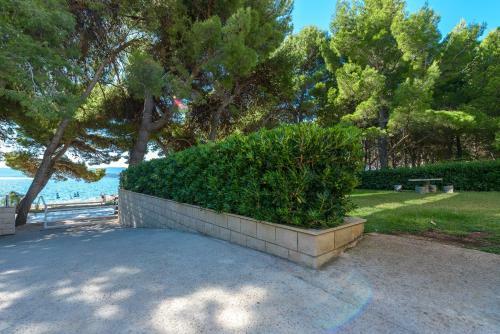 Apartment Promenade Zlatni Rat ~0.1 km, Bol price per day from € 130 Providing a back yard, Apartment Promenade Zlatni Rat presents pet-friendly accommodation in Bol. Kitesurfing School Bol is 200 metres from the property. 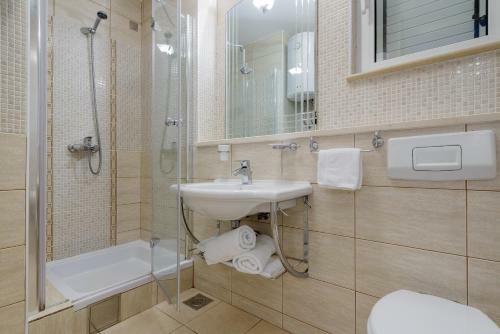 There is also a dining area and a kitchen fitted with a dishwashing machine. A microwave and fridge are also provided, as well as a kettle. You can play tennis at the property, and the area is famous for parasailing. The closest flight terminal is Brac Airport, 4 km from the property. Nerezisca ( ~ 9.8 km ): 4+ accommodation units. 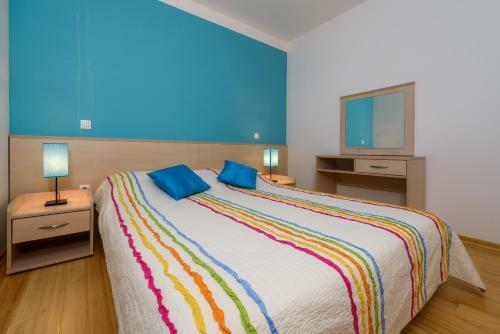 Beach Zlatni Rat, Bol ~ 1,1 km from Apartment Promenade Zlatni Rat Sandy beach: ideal for families, recommended for young people, with restaurant, with caffe bar, equipped with showers. Excellent choice of watersports. 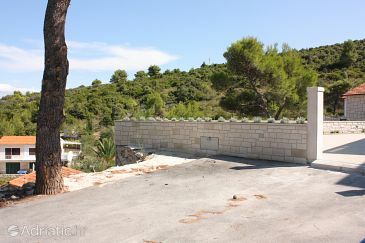 Beach Fkk Paklina, Bol ~ 1,2 km from Apartment Promenade Zlatni Rat Sandy beach: ideal for families. Nudism is allowed. 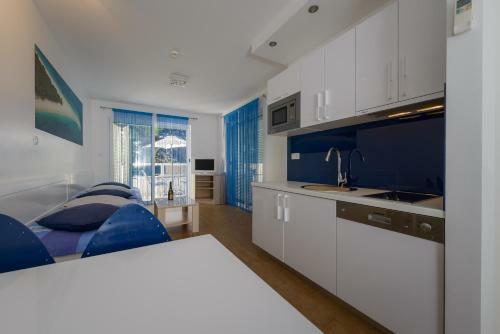 Beach Samostan, Bol ~ 1,7 km from Apartment Promenade Zlatni Rat Sandy beach: ideal for families, recommended for young people, awarded with blue flag, with restaurant, with caffe bar, equipped with showers. 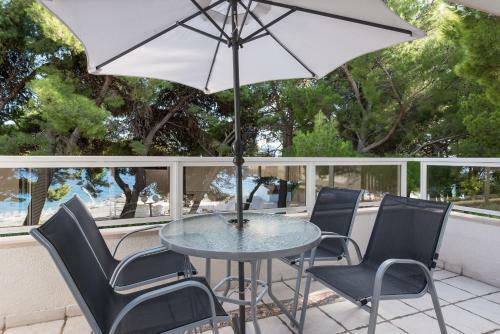 Beach Basina ~ 6,9 km from Apartment Promenade Zlatni Rat Concrete beach: ideal for families, with restaurant, with caffe bar, equipped with showers. Excellent choice of watersports. Beach Fkk Zecevo, Vrboska ~ 8,4 km from Apartment Promenade Zlatni Rat Gravel beach: with restaurant. Nudism is allowed. Restaurant Restoran Centar Marijan, Bol Guest reviews: 8,5/10 ~ 0,8 km from Apartment Promenade Zlatni Rat Address: Put Zlatnog Rata Bb, Bol. Cuisine: International cuisine. Restaurant Vagabundo & Bar, Bol Guest reviews: 7,2/10 ~ 0,5 km from Apartment Promenade Zlatni Rat Address: Ante Radica 36, Bol. Cuisine: Croatian cuisine. Restaurant Arguola sandwich bar, Bol Guest reviews: 9/10 ~ 0,6 km from Apartment Promenade Zlatni Rat Address: Ulica Vladimira Nazora 6, Bol. Cuisine: Fast Food. 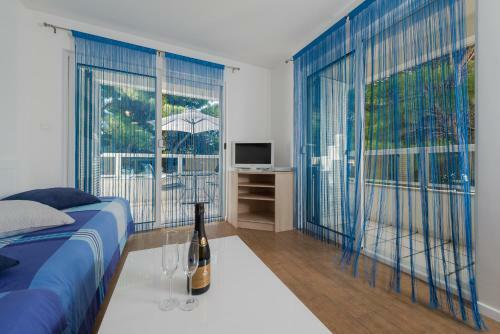 Restaurant Equinox, Bol, Bol Guest reviews: 7,7/10 ~ 0,6 km from Apartment Promenade Zlatni Rat Address: Vladimira Nazora 6, Bol. Cuisine: Croatian cuisine. 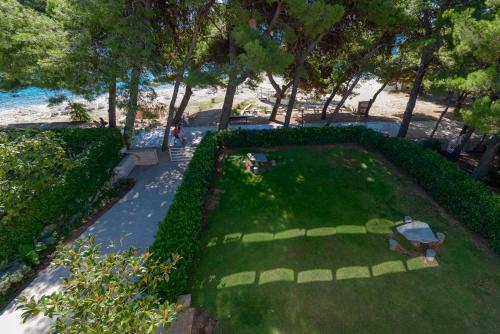 Restaurant Ribarska kucica, Bol ~ 1,3 km from Apartment Promenade Zlatni Rat Address: Ante Starceviceva bb, Bol. Prices: 218 HRK - 868 HRK. Cuisine: Croatian cuisine.